Looking For The Ultimate Water Balloon Launcher? The Bam Launcher™ is the world’s best water balloon launcher. For over 10 years Bam Launcher™ has been developing cutting edge slingshot technology with a commitment to outdoor fun, excitement, and adventure. This water balloon launcher was designed to be used by 3 people. It is the strength of 3 people pulling back on the super strong latex rubber tubing that allows you to hurl a water balloon up to 400 yards. That is the distance of 4 football fields! 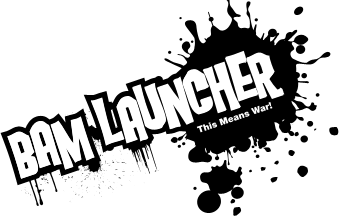 No other launcher can do that. Our high quality launchers are made to last a life-time. They feature durable heavy duty latex rubber tubing that can pull a full size truck, double stitched nylon pouch, and thick comfortable foam hand grips. There are many water balloon launchers, slingshots, and catapults on the market. The Bam Launcher™ is the most durable, long-lasting, and trusted name in the business. If you have any questions on how to use the launcher or how strong the Bam Launcher™ really is, then check out the Launchers in Action page for useful videos.